Workshop by Mr. Ichinosuke Shunputei and Ms. Koharu Tatekawa has just closed in Wroclaw, Poland (European Capital of Culture 2016). This workshop was a part of their European tour, and eight people including a schoolgirl have attended trying to perform simulating eating of various meals, silent skits and full skits with texts. 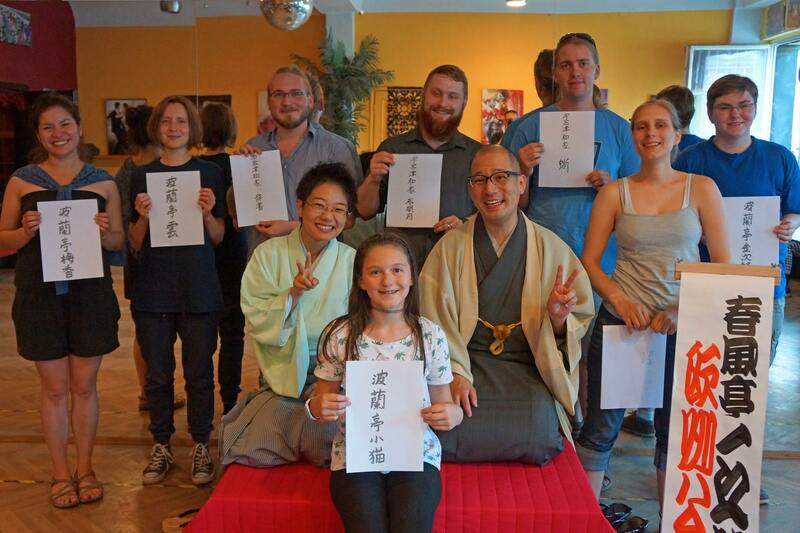 Each participant loves Japanese culture from different aspects: a lady had learned Japanese by herself, and some of them are earnest practitioners of Japanese martial arts. Finally, their rich expression and imagination astonished the masters!